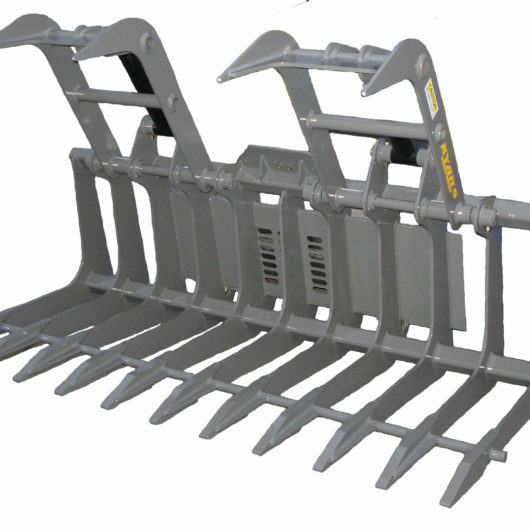 Ryan’s brush rakes have a large open throat area with a large top clamp to secure the load. 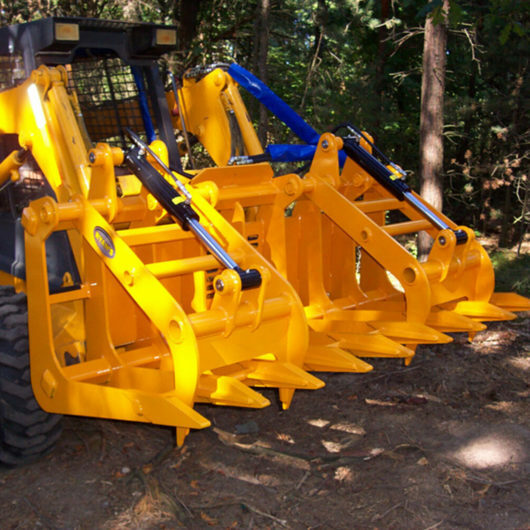 The heavy duty design features plenty of clamping power, ideal for loading and piling brush, logs, rocks and light demolition debris. 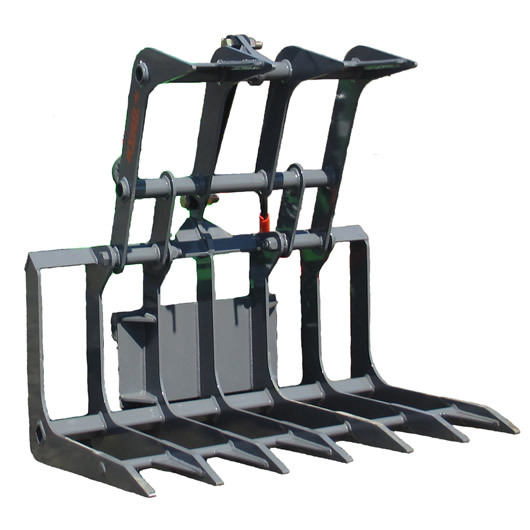 Ryan’s offer several sizes for the mini skid steer, 35” width for going thru gates, and the standard 42”, 48” for the mid-sized and 72” for the larger-sized skid steer. 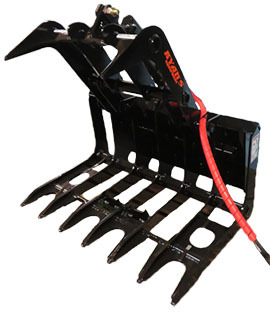 Ryan’s offer several sizes for the mini skid steer, 35” width for going thru gates, and the standard 42”. The 48” is for the mid-sized and down skid steers and the larger minis. 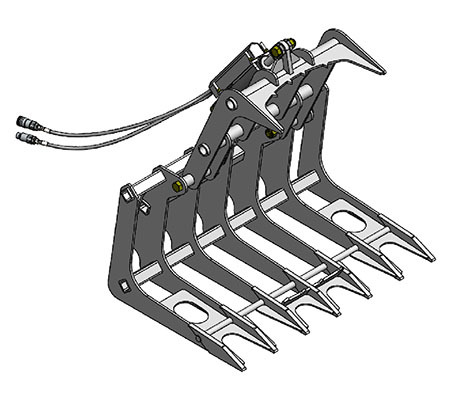 They feature one large top clamp with all tines from 3/8” steel with ¾” rake tips. 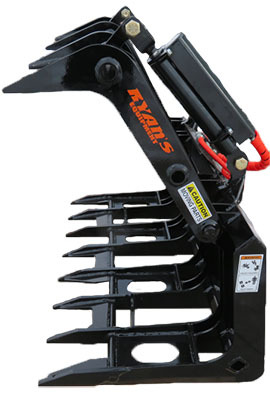 Cylinder: 2 x 7" 2 x 8.75" 2 x 8.75"
Ryan’s 72” Brush Rakes has a large open throat area with two independent top clamps to secure the load. The heavy duty ½” steel tines are equally spaced by 8” with 1 ¼” steel tips. Also available in 66” and 84” widths. 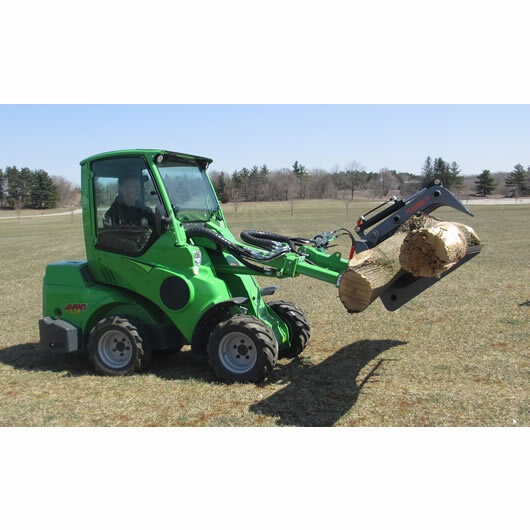 The heavy duty design features plenty of clamping power ideal for loading and piling brush, logs, rocks and light demolition debris. 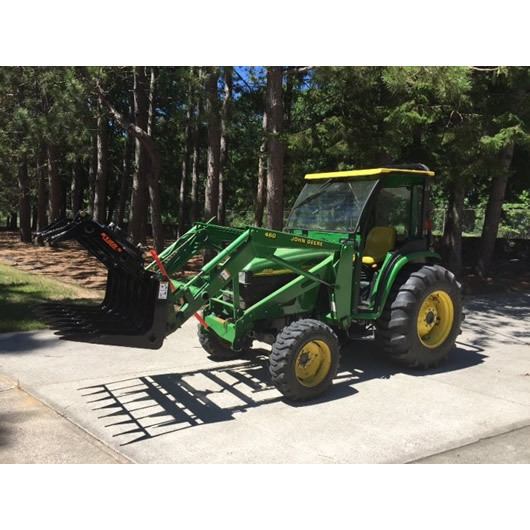 This 72” is meant for the larger-sized skid steer. Cylinder (2) 2.5 x 10"